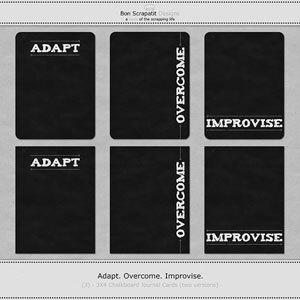 Bon Scrapatit Designs: OMGOSH!!! WHAT HAPPENED TO FFF??? IT'S A DAY LATE, BUT HERE NONETHELESS!!! WOO HOO! OMGOSH!!! WHAT HAPPENED TO FFF??? IT'S A DAY LATE, BUT HERE NONETHELESS!!! WOO HOO! I hope that y'all are having a SPLENDID weekend!!! 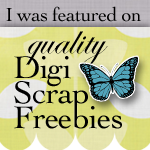 I do apologize for missing FANTABULOUS FREEBIE FRIDAY here at Bon Scrapatit Designs! I had a doctor's appointment yesterday morning and then had to travel out of town to pick up my prescription and was not feeling GOOD at all. Feeling rather disoriented actually! I just have to tell y'all that I DO believe I've FINALLY found a health practitioner that actually knows about and believes in integrative medicine and was able to spew off a list of alternatives to the synthetic meds that I stopped taking last summer due to the horrific side effects!!! I am JAZZED!!! As most of you know, I've not been doing so well for quite some time now and I have to be honest and tell you that I had been without my thyroid medication for over a month. I've been on Levoxyl, which is controversial, for a good ten years now. I've asked, whenever a new doctor came to our local clinic, about the possibility of being prescribed Armour Thyroid, which is natural (not refined). The answer has either been, "no, we don't" or "I don't really know much about it", blah, blah, blah, blah!!! Anyhoo, my new PA, who is a WOMAN even (WOO HOO - happy dancing on this one as I prepare for menopause!!! ), is VERY familiar with the natural treatment and even went on to tell me about a local naturopathic doctor who switches all of his patients to the Armour Thyroid with WONDERFUL results. I am SOOOOO stoked! I can not even begin to tell you the difference that two days on the Armour has made in my life!!! OMGosh! My light-headedness and wooziness has completely disappeared and I'm actually feeling more energetic already. Stephanie put me on the maximum dose to see how I fair over the course of the next six weeks when I am to return for my blood work. She thought it would be best for me to wait and see where my levels are at that time. I shall keep you all abreast of my findings. I always hope in sharing that there just might be at least ONE person that can benefit from some potentially new information that may help them in their frustration for proper treatment. 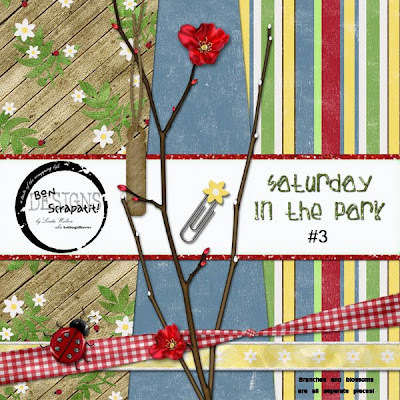 Well, I shan't bore you with anymore of THAT and will now share with you another addition to *Saturday In The Park*!!! I really struggled towards the end as I've just not been able to get any of my bows to look right tonight, so I am going to reboot and see if that takes care of my glitches!!! ROFL! Wouldn't that be a HOOT if we could actually REBOOT an entire day that has gone awry!!! Not meant to be, of course, but it would DEFINITELY be interesting!!! LOL! Talk about DEJA VU! WHOA NELLIE! Okay, off to bed for me. I must be a GOOD girl and get back into a routine of sleeping similar hours each night, KWIM! No MORE staying up until 4 or 5 because I feel that I've just GOT to it finished! I'm SO bad! He, he ... Tink dearest, are we not SO much alike in this? Not that you necessarily stay up quite so late, but I know you work VERY hard to provide such INCREDIBLE goodies to stimulate our brains with as well as to appease our voracious appetites for EYE CANDY!!! EVERYBODY, if you LOVE prompts, GOOD humor as well as some Southern charm, then you've just GOT to go and visit my AWESOME friend, Tink's blog HERE. Tink's blog is FULL of interesting tidbits of a WIDE variety from a down-to-earth woman who also scraps her heart out. She keeps me inspired! Now all I need to do is find SOME time to scrap!!! ROFL! Thank you Tink!!! I shall be trying to play catch some time next week! I miss my blog visits!!! (Oh MY, Oh my goodness girl, we DO have so much in common it is uncanny - I just ran over and saw your layout of CHICAGO!!! I LOVE IT! And I tell everyone that they are, IMHO, not only a classic but TRULY sensational band even now! And THEN .... Johnny Depp! WHOA girl, I know we are not twins as I am older, but pretty darned close! I was just chatting with a MUCH younger designer colleague about what a WONDERFUL actor he is and how he takes some rather difficult roles and makes them SOOOOO real!!! I just recently watched "The Secret Window" and I am not at all into thrillers nor have I ever read a Stephen King novel (okay, here is one thing we DON'T have in common! ), but I LOVED this movie and could not break-away from it!!! VERY tastefully done! THANK YOU, THANK YOU for SO much LOVE y'all!!! I am THRILLED to no end that y'all are having such a GOOD time reminiscing the 70's with me and I have to tell you, I've been listening to Chicago all day while at the computer!!! Well, minus the time I've spent with the family on and off throughout the day! I think I even put Robert to sleep with it night before last! LOL! Cathy - thank you for sharing your story with me!!! What a HOOT and I will NEVER forget it! Believe it or not, I actually say "Bon Appetit" quite often and YES, brand recognition is DEFINITELY present!!! Hmmm ... not a bad idea for a magazine, is it??? Bon Scrapatit ... recipes for PRESERVING your family history! AWESOME!!! Sweet dreams ... catch y'all tomorrow, God willing!